We all knew it was inevitable, but most of the news stories write it off as another casualty of the evolving retail industry. In Sears case, this is so far from the truth. Sears CEO Eddie Lampert raped the company. Thousands more will lose their jobs and he will become richer as a result. Crazy Eddie took what was once the worlds largest retailer and let it slowly die off so he could acquire its assets. Here are two articles that more accurately portray the situation at Sears. Retail is going the way of the dodo. It really is only a matter of time before every walk in store is a Wal Mart, and everything else is delivered by Amazon. A sad passing of what was once the go-to shopping destination for all home items. (10-15-2018, 06:04 PM)Shotgun Styles Wrote: Retail is going the way of the dodo. It really is only a matter of time before every walk in store is a WalMart, and everything else is delivered by Amazon. There's a lot of truth to what you say, but Sears was different. Sears had billions of dollars of assets. There was nothing stopping Sears from creating a dope website, and using a half of its stores as fulfillment centers, guaranteeing 2nd day or next day shipping. At its peak Sears had 3500 stores, and had well over 1000 when it merged with K-Mart. It owned brands such as Lands End, Craftsman, and Kenmore, plus the fact that it owned the buildings and land of all its stores. Eddie Lampert never re-invested in its store or website. Hell he never even hired anyone with retail experience to run the business. By sometime in January, Eddie Lampert will be responsible for the unemployment of over 100k people. Trust me, it will negatively affect the jobs reports. Slick Eddie is now the top creditor for Sears. So in bankruptcy, he will get most of the assets for pennies on the dollar, then turn around and create a new brand using those assets. It doesn't take long, but you should absolutely read at least on of the articles I linked. Also it's probably time to start taxing online retailers,it gives them an unfair advantage against brick and mortar establishments. Surprised it took so long. Walmart and Amazon are going to be the only big retailers left. Except maybe specialty stores. 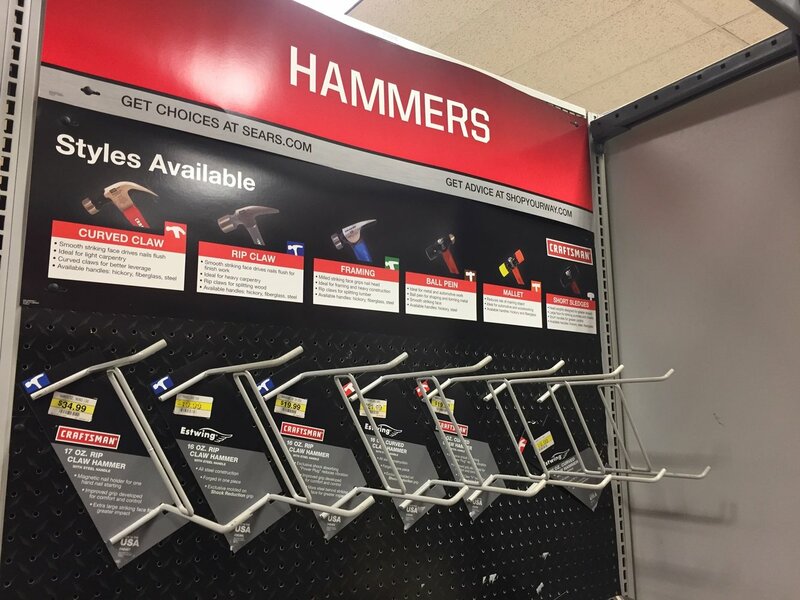 Sears got the hammer because Eddie Lampert was a hammerhead. He spent all the money buying stocks and didn't buy enough hammers' inventory. The day the old sears catalog showed up was like Christmas in my house. Rarely bought anything, but it was great to page through all the items!